This web hosting plan is designed for a little more demanding users, larger websites, web portals, blogs and forums. Unlimited subdomains, databases, FTP & email accounts + free SSL certificate included. 2 GB This hosting plan contains 2048 MB of HDD space in RAID-protected arrays. 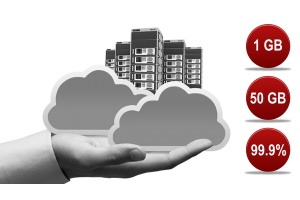 The space is shared and contains your websites, databases, email addresses and your cloud accounts hosted on our servers. 100 GB The data transfer quota is used on a monthly basis, meaning that it is restored each month. The data transfer on our servers is measured in gigabytes (GB). In our Control Panel you can easily monitor the traffic you have used from the Account Usage graph located on the left. Virtualmin Professional Virtualmin Professional web hosting control panels provide easy-to-use tools for managing websites, mailboxes, databases, web applications and web application development environments. Virtualmin also supports features rarely found in other control panels, like LDAP authentication, 2-factor authentication, command line management, and advanced access control. 2 Domains This hosting plan is designed for up to 2 main domains (websites) and unlimited number of subdomains. Unlimited We recognize the power of using subdomains to provide targeted content to site visitors. Croatian Web Hosting allows a certain amount of subdomains, based on your hosting plan. NOTE: You must have a registered domain name and be using our hosting platform to utilize our subdomain feature. Unlimited You’re certainly allowed an unlimited number of MySQL databases, but in the interest of server stability we request that you try to keep them optimized and no larger than a few GB in size. Unlimited With our unique handmade email hosting solution you can create and manage unlimited number of personalized email accounts based on your domain. We add various third-party and in-house developed solutions to guarantee you a secure, spam-free and lightning fast email experience. Unlimited FTP Accounts allow you to access your web site's files through a protocol called FTP (File Transfer Protocol). You will need a third party FTP program to access your files. You can login to a FTP by entering the domain name you are currently using when you create the FTP account. 99.9% In the event that there is network outage*, Croatian Web Hosting will credit the monthly service charge for the following month's service as calculated below and as measured 24 hours a day in a calendar month, with the maximum credit not to exceed 100% of the monthly service charge for the affected month. NO This hosting plan do not include free domain. YES, lifetime If you want lifetime FREE SSL certificate, kindly select 'YES' during ordering process. Web hosting plan simply ideal for beginners, for a single domain & website. Unlimited subdomains, databases, FTP &am.. This plan is the right choice for a complex CMS business websites, less demanding online stores, web portals, forums and.. The best choice for the most demanding users. The most complex websites, forums, blogs, online stores...with a large num.. 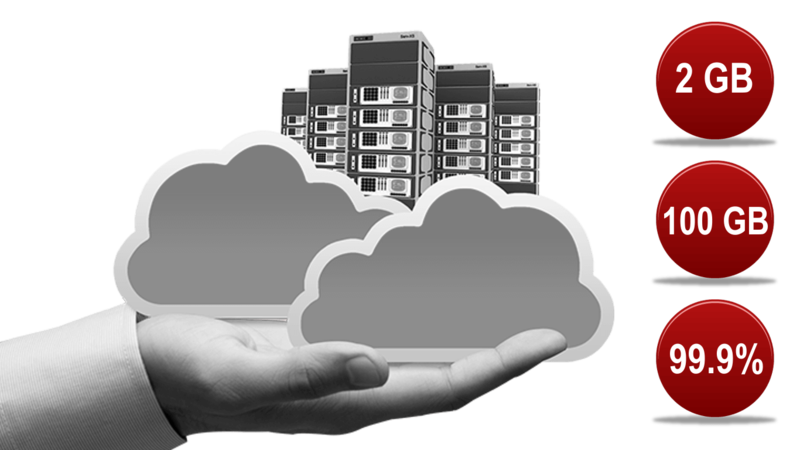 This web hosting plan is tailored for corporate business users. With 1TB of monthly bandwidth, 50 GB disk space and 20 d..